Direct deposits are electronic funds transfer where funds are transferred regularly at a specific period as agreed by both the parties on the account. Direct deposits are usually set up for payroll, tax and bill payments etc. In cases where payments have to be made regularly it’s beneficial to set up a direct deposit. Direct deposits are easy and convenient way to process payments, there won’t be any issue of loss checks and regular visits to bank can be avoided. • To cancel a direct deposit, the payor can contact the financial institute via telephone, branch or online and cancel it by following the procedure as directed. • If direct deposit cancellation is being done after both the parties completed the agreement, then the payor can request the payee to fill a cancellation form and write down the main details such as reference number for the payment, routing number, name of the payee, reason for cancellation etc and then sign it. This paper work would then be signed and submitted by the payor to the bank and the direct deposit would be cancelled. • In case where both the parties have agreed for cancellation verbally, then the payor can connect the financial institute via telephone banking and online banking to cancel the direct deposit. Usually via telephone and online banking the payor who wishes to cancel the payment has to give security information to be verified on the account. Then the payor should give the name of the direct deposit and reference number to ensure that the correct direct deposit is being cancelled on the account. Direct deposits can be easily cancelled with telephone banking and online banking services too. • As a direct deposit payment takes up to 3 working days to be processed. The request to cancel the direct deposit should be made prior to the payment debiting the account. It’s better to cancel a direct debit few days prior to it debiting the payors account; because once the payment is processed electronically it’s not simple to reverse the funds. However few financial institutions have the facility of reversing the direct deposit on the same day when the payment is processed provided the customers adhere to the time quoted in the disclaimer for cancellation of direct deposits. To have a hassle free cancellation, it’s always best to cancel it few days prior to the payment debiting the account. Payee is closing the bank account: If the person who is receiving the payments in the form of direct deposits opted to open a new account with another bank by closing the existing account. Then it’s necessary for the payee to contact the payor and request a direct deposit cancellation form as the payor can then put a request for stopping the payment into the existing checking account. This way the payor can issue a check when the account is closed. Then a new direct deposit can be set up on the new account. By processing the cancellation before closing the account, the payee can benefit by getting the funds through other means. If the payee doesn’t inform the payor before closure of the account, the direct deposit would be processed and the closed bank account would receive the fund. Both the payor and the payee should connect with their respective financial institutes to get that amount by putting a trace for the payment. This can be troublesome and time consuming. Therefore to avoid any such issues it’s always sensible to cancel the direct deposits before closing the account. Dormant/ Inhibit accounts: If the bank has put a stop on the payee or payors account due to any reason for example such as bankruptcy, it’s advisable to cancel direct deposits to avoid the trouble of tracing funds. Usually if the payor has a stop on the account the direct deposit may not debit the account, however it’s sensible for the payor to inform the payee that they won’t receive the funds. In case where bank accounts are not being used regularly there might be a dormant marker placed on the account, in such cases the parties should contact the financial institute and request to remove the dormant marker on the account as only then the direct deposit can be processed successfully. Fraud investigation: Some times financial institutes block the accounts if they come across any fraudulent activities on the account, in such cases the payee should inform the payor to stop the direct deposits as there is a possibility of some fraud happening on the payee account and the it’s sensible to cancel the direct deposits as there would be a risk of losing the funds. 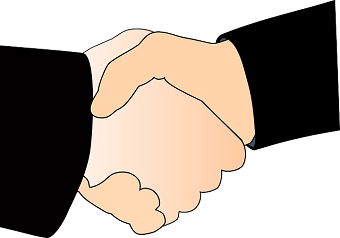 Agreement comes to an end: Usually direct deposits are set up when both the parties are in an agreement to pay and receive the funds. If due to any reason the agreement comes to an end. The parties should follow the procedure of cancelling the funds to avoid losing additional funds with the direct deposit being active on the account. If the payee (receiving direct deposit funds) wishes to receive the direct deposit to another checking account, the payee should contact the payor and inform the same. The payor would then get a direct deposit transferring form which should be filled by both the parties and sent to the respective financial institutes. The payor’s bank would take certain time to transfer the direct deposit to a payee’s new checking or savings account. Therefore the payor and the payee should get the time duration from the financial institutes involved to make arrangements for another mode of payment if in case the transfer takes long to be active. In some cases it might be faster to cancel and set up a new direct deposit on the account. Therefore both the parties should check the time duration and comfort while transferring a direct deposit, only it’s faster they can opt for it or else it can always be cancelled and set up too. • When there is an agreement between the payor and the payee a direct deposit form is filled out and signed by both the parties. The payors bank and payee (receiver of the credit) both send the paperwork to each other, when the details are confirmed and agreed a direct deposit is set up. This procedure can take up to 45 days or 2 months. Until the direct deposit is set up on the account the payee won’t receive the funds. Hence the payee and the payor should make other arrangements to transfer funds until the direct deposit is set up. • The payee can always expect the direct deposit to reach the date as agreed in the agreement, however sometimes it can be 2 or 3 days different. Because direct deposits are only processed on working days electronically. If there is a Saturday or Sunday after the payments debiting date then the receiver may have to wait additional 2 or 3 days to receive the funds. • If in case there are bank holidays or the bank is closed due to some reasons, then the direct deposit might appear 2 or 3 days after the holidays. Electronic payments would be processed during working days only. Hence the customers can always expect to see a direct deposit credit on a working day itself. Direct deposits are regular automated money transfers done between bank accounts electronically. The payments are done as per the date, time and period chosen by the payor. Direct deposits are safe, secure and easy, they save the hassles of going to a bank to collect salaries, social security benefits etc. In this new era of technology, it’s a gift to mankind. With direct deposits, the payee (receiver of payment) need not to worry about check clearances as the payment will be done with direct cash via electronic transfer. Direct deposits are most suitable for all age groups that are eligible to receive funds via direct deposit. Customers require checking or saving accounts with banks to be able to receive and pay direct deposits. Setting up a direct deposit leaves us with an easy procedure for regular payments, while giving us the benefit of saving time. Direct deposits can only be set up when there is an agreement between the persons who are paying and receiving the money. The payee (receiver of the payment) should find out if the payor’s bank has the service of direct deposits. If yes, the payee should take a direct deposit form from the payor. Take a void check along with it for submission. A void check has the word void written across it. 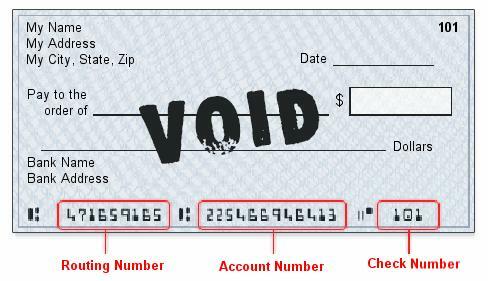 Fill in the routing number on the form, the routing number is listed on the bottom left hand side of the check. You can find routing number for direct debit form on our website. 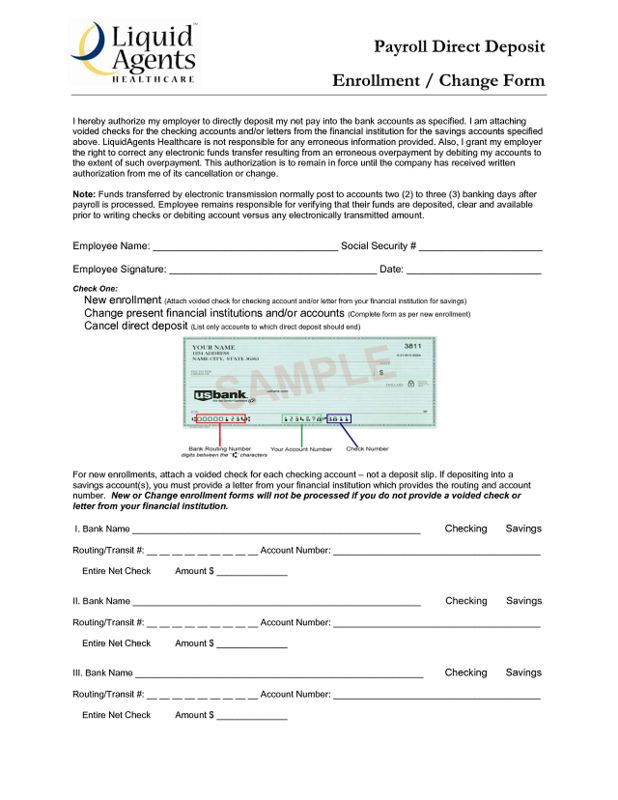 Fill in the checking account number on the form. The account number is next to the routing number on the check. Fill in the bank address on the form by calling the banks telephone banking representatives or by checking online. After filling the details, give the form to the payor or employer. By following the above steps the direct deposits can be set up successfully and is effective usually within 1 month. In case of payments made by employers to employees the direct deposit can be made between two accounts such as the savings and current accounts. This can be done only by the approval of the employer. If the payees have an additional amount in their account and choose to save, they can certainly set up a standing order to make regular money transfers from their current to savings account. Electronic transfers are secured by bank, if there are any issues with the transfer. Banks will investigate the reason for the error, if the bank is held liable they will reimburse the cash. If not, they will check what caused the error and rectify it based on the scenario. Direct Debit is quite safe and secure and mostly error free so you can use it confidently.